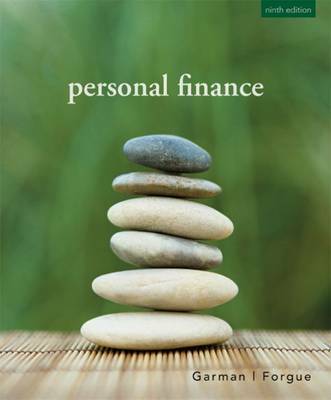 This market-leading text offers a student-friendly, practical introduction to managing personal finances. The structured pedagogy helps students learn how to save and invest, manage student loans, file taxes, decrease credit card debt and plan for the future. Throughout the text, students receive advice from personal finance experts, and read a variety of real-life scenarios about people facing a wide range of financial challenges. Many examples, mathematical in nature, illustrate the critical importance of achieving long-term financial goals through investing. The Ninth Edition captures student interest and focuses the reader's attention on the most important concepts.